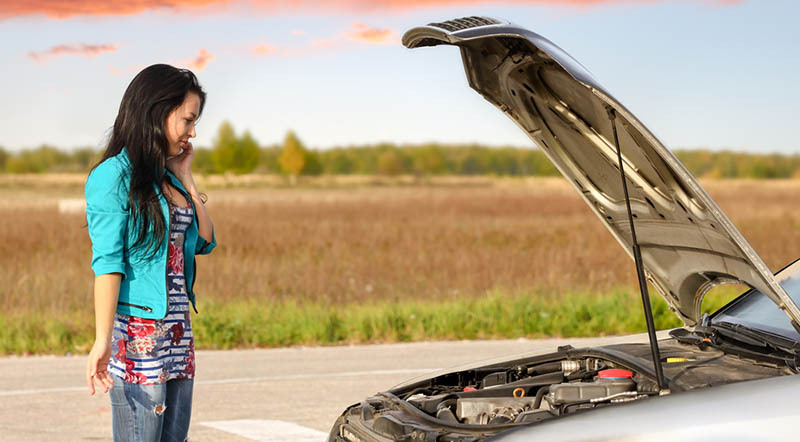 Your car’s battery is dead or weak – This is called parasitic drain. It happens when you turn off your car, but some systems remain on and consume the battery slowly. No worries, you can jump start your car and be on your way. But make sure that the battery is only weak not damaged. Otherwise, you would need to take help from a professional. Electrical connections are lose or disconnected – Check your car for any damaged or broken cables. A lose or detached battery clamp can be the reason too. Check if the fuse broke or got burnt. The starter is damaged – As the name suggests, this component is necessary to start your car. If it malfunctions, the engine wouldn’t bother starting. Pray this not the reason, because replacing a starter can be a costly business. There is a security error – Another reason why a car doesn’t start is the wheel lock or any other security error depending on the car you are using. Even the most sophisticated security systems can get confused sometimes and prevent you from starting the car. Your clutch switch is not in the right place – Check if the clutch switch locates at its place. If it isn’t, you know what to do. You are out of gas – It sounds dumb but this is quite possible. The engine refuses to pull over if your car has no fuel. Before you start panicking, check the fuel indicator. Water is messing up with your engine – Another reason why your engine cranks but doesn’t run is because water has got into it. The best way to remove water from the tank is to replace the entire fuel with new. If you are not sure of what you are doing, call a mechanic for help. Your fuel line is blocked or broken – Make sure that the fuel reaches the engine without any hindrance. The fuel line can get clogged sometimes. Also, make sure it’s not broken. If it is, call your mechanic. Your spark plugs need replacing – If you’ve experienced poor engine performance in the recent past, it’s an indication of spark plugs going bad. You would have to change the spark plugs. If you know cars and you think you can handle most of the above situations, you are good to go. But we still advise you to let a professional interfere if you don’t want to end up with something more than just a malfunctioning engine. Remember, you are getting late for office, aren’t you?